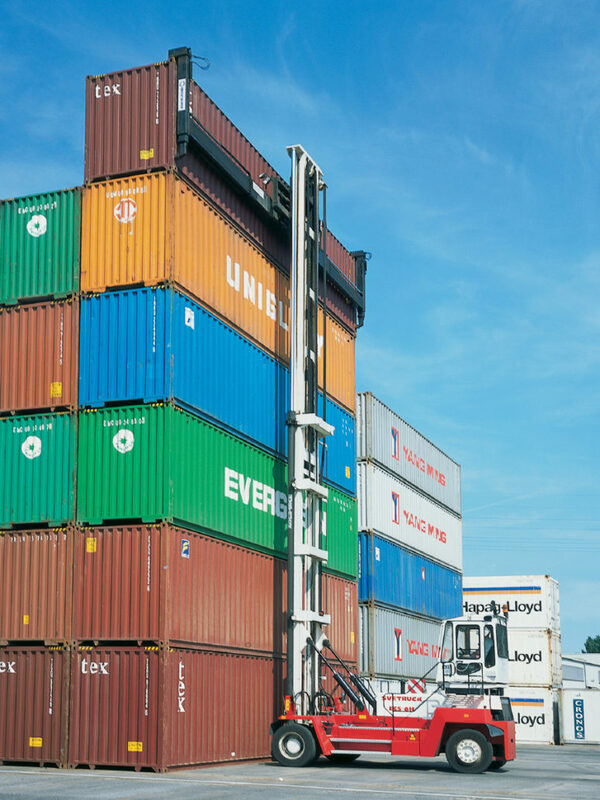 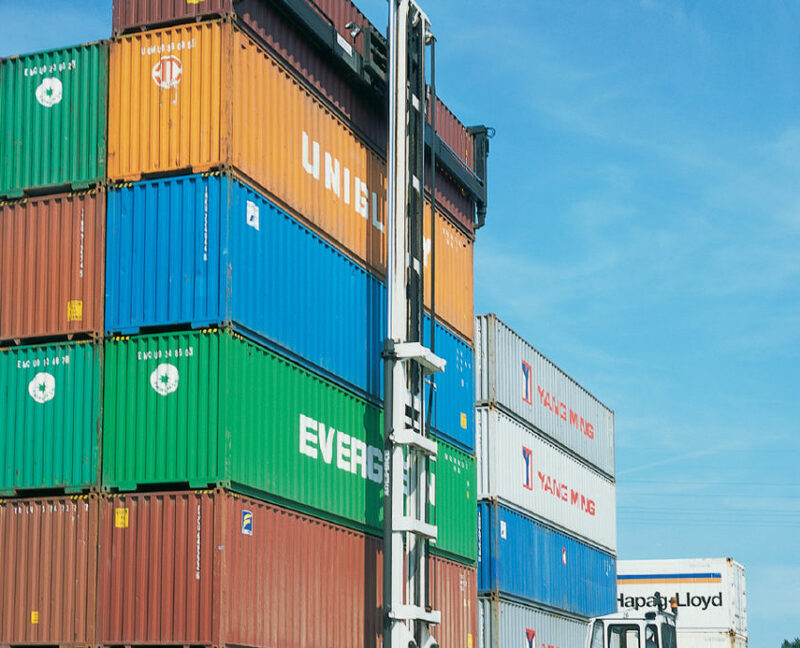 We know what it takes to safely and efficiently handle empty and laden containers for stacking, loading and unloading between terminal, roadtruck, railcar and barge. 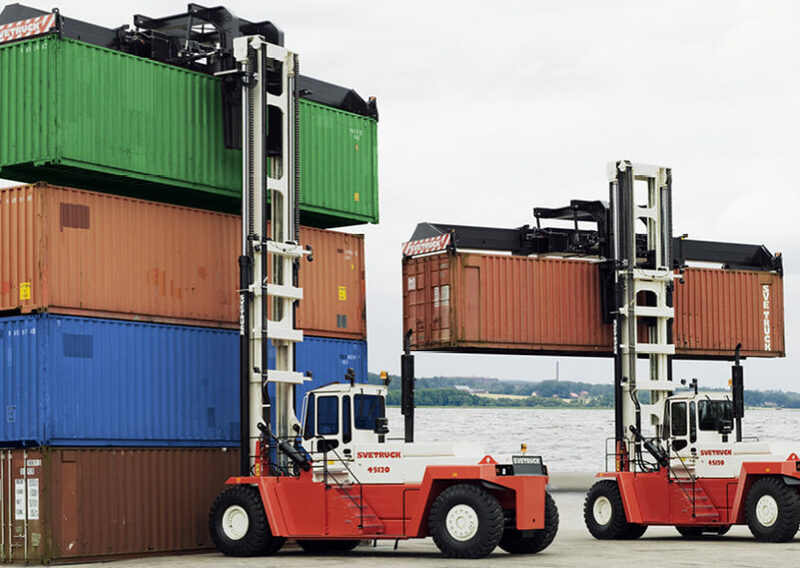 There are two models for handling empty containers – CS and ECS. 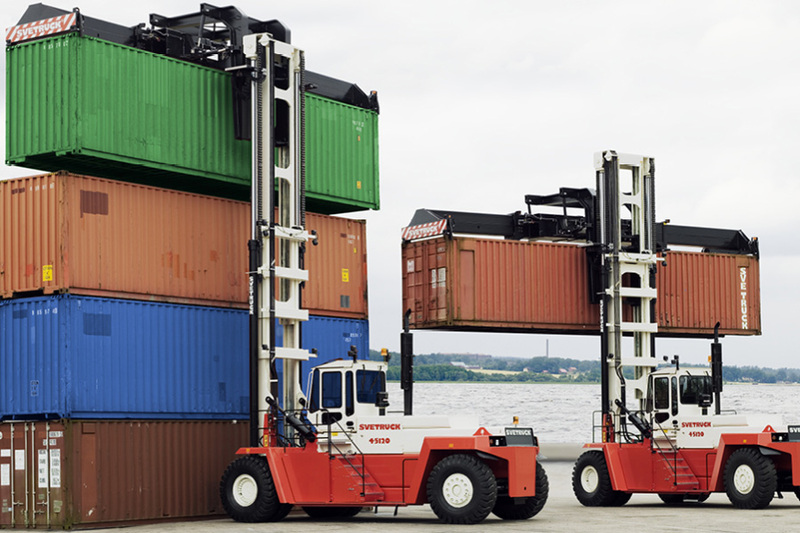 For handling of empty containers there are two models – CS and ECS. 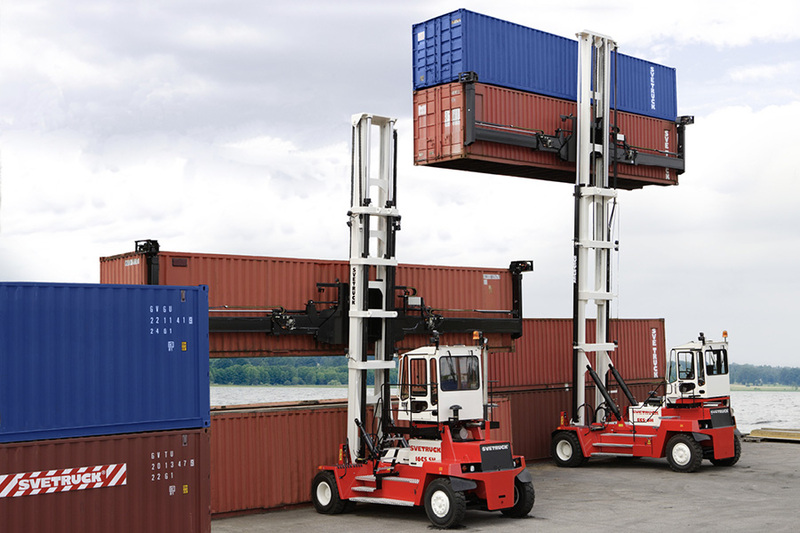 A CS forklift is able to stack up to 5 high, equipped with forks or a sidespreader. The cabin can be placed in three different positions for a optimal view and saftey. 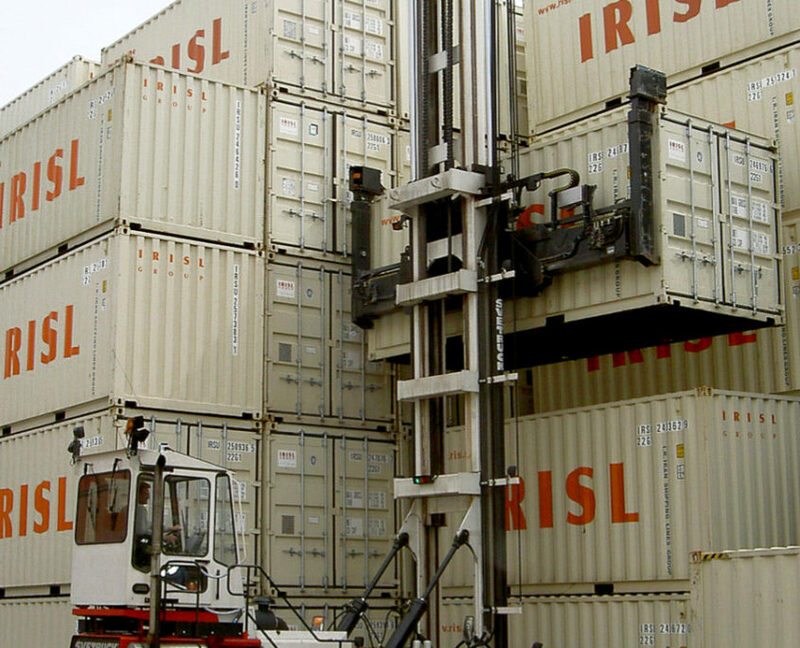 An ECS is particularly designed to stack empty containers up to 8 high in a safe and secure way. 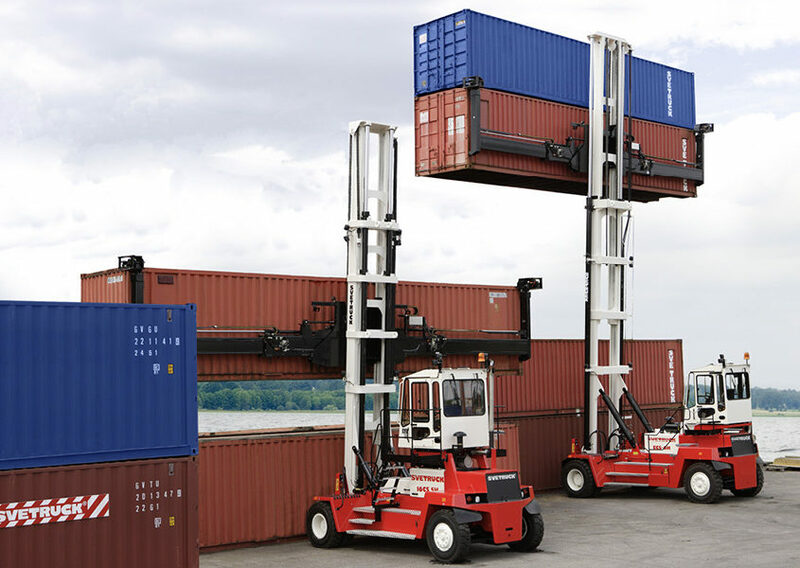 The machine can be equipped with spreader for single or double handling. 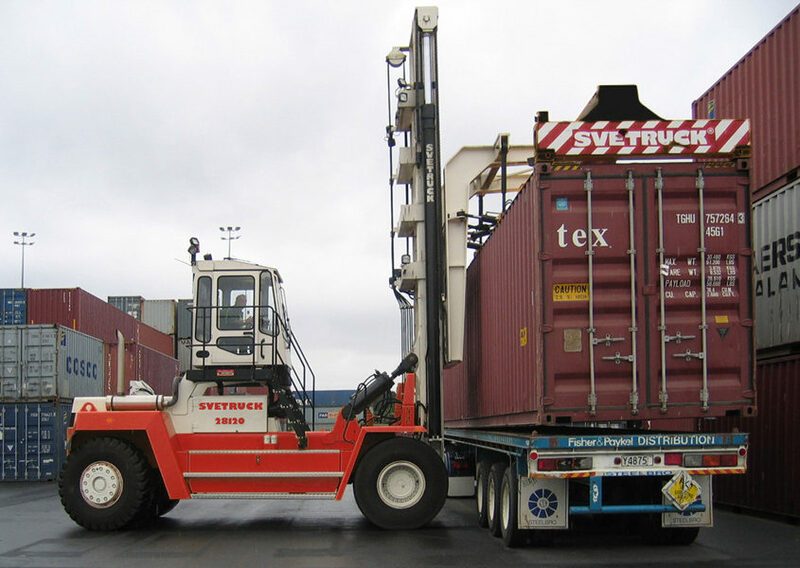 The cabin is rear mounted for best visibility. 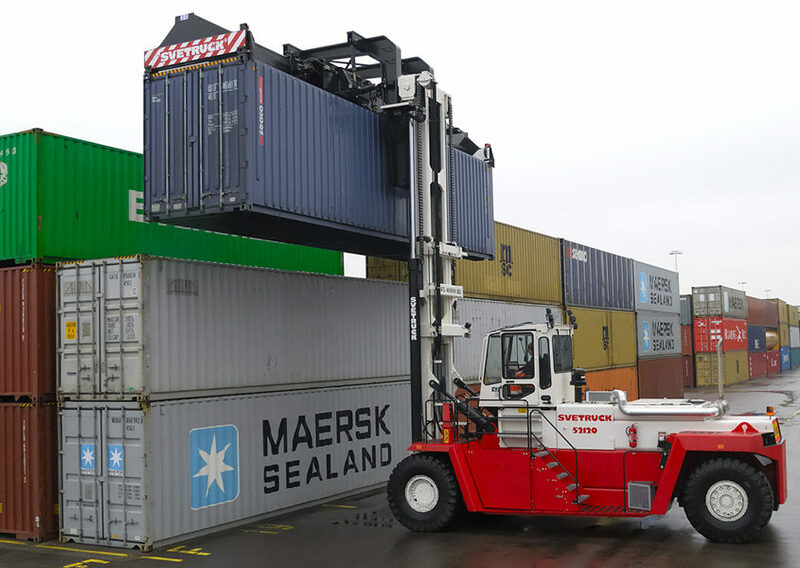 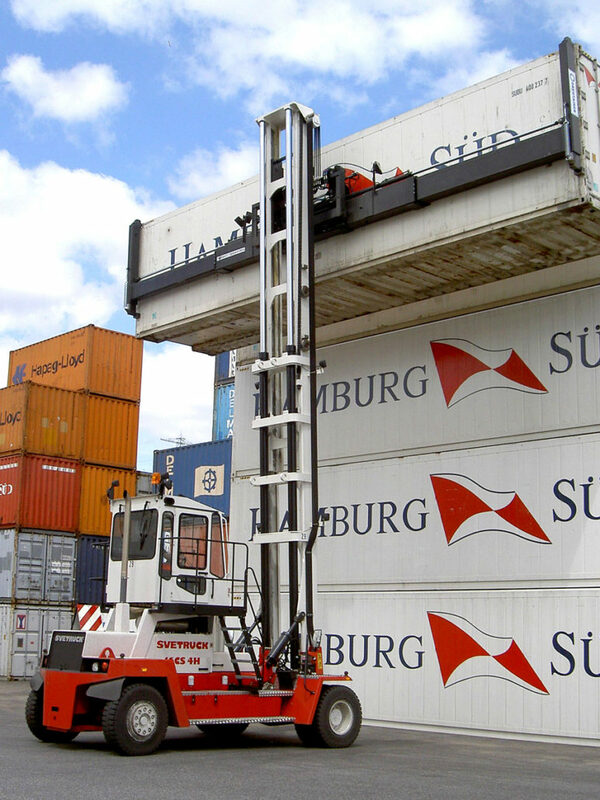 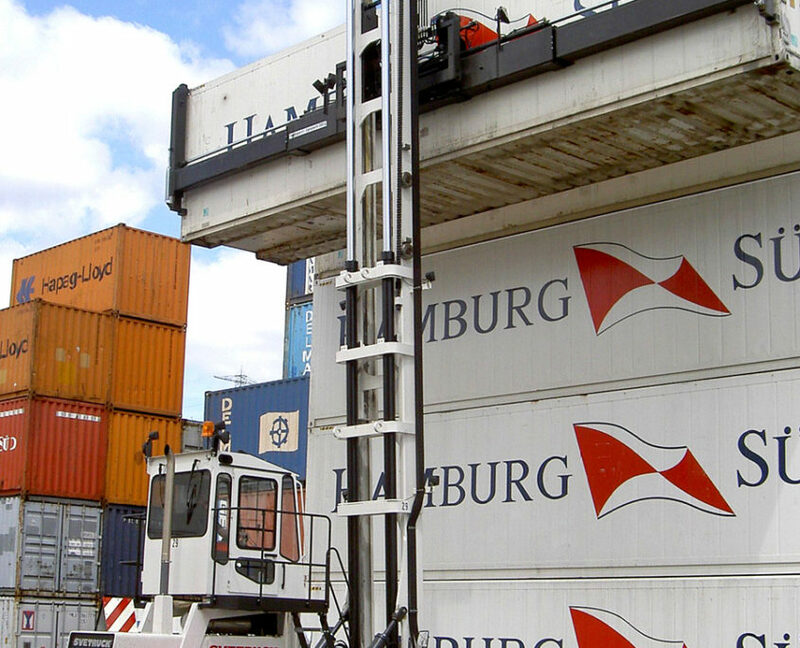 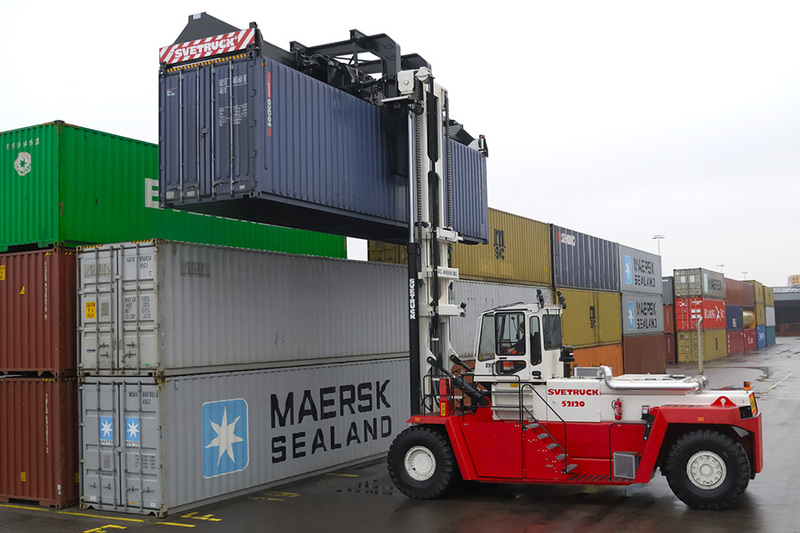 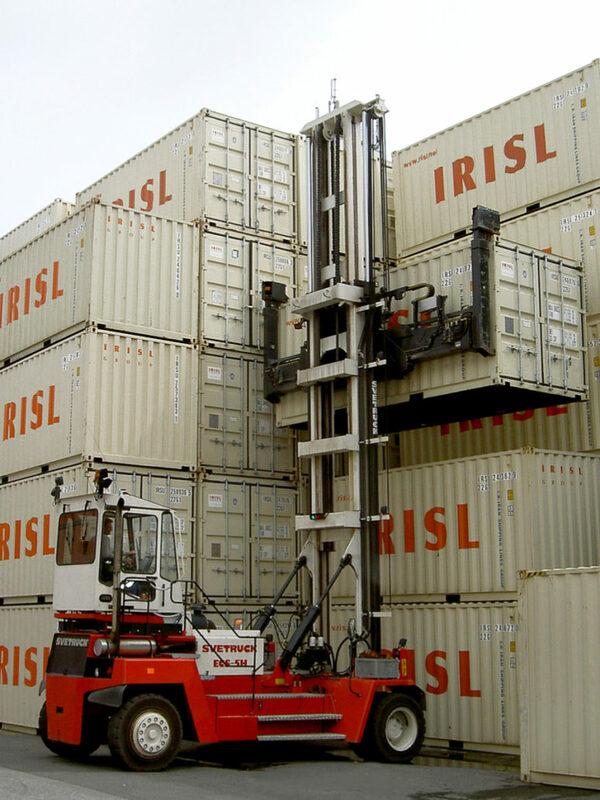 For loaded containers are forklifts in the range of 28 to 52 tonnes capacity suitable, equipped with mast-integrated gantries for mounting of top spreaders and piggy-back attachments up to 5 containers high.